Don't just kill bugs; create a bug barrier with Ortho® Home Defense Insect Killer For Indoor & Perimeter2 with Comfort Wand®. 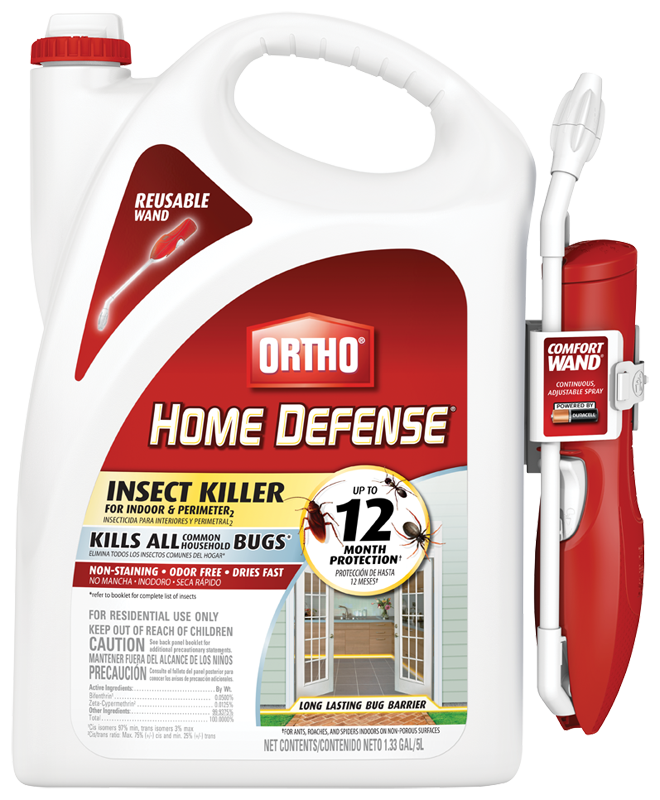 Whether you have ants, roaches or other home-invading insects, you can count on Ortho® to keep them out. Simply plug in the Comfort Wand®, and with one touch you can kill and protect against pests. Use with confidence in bathroom, kitchens, family rooms, pantries, attics, garages, basements, closets, storage areas, and bedrooms. Do not allow this product to contact water supplies. Do not spray into air. Do not spray animals. Do not apply this product, or allow it to drift, to blooming plants if bees are visiting the treatment area. Do not apply this product in or on electrical equipment due to the possibility of shock hazard.